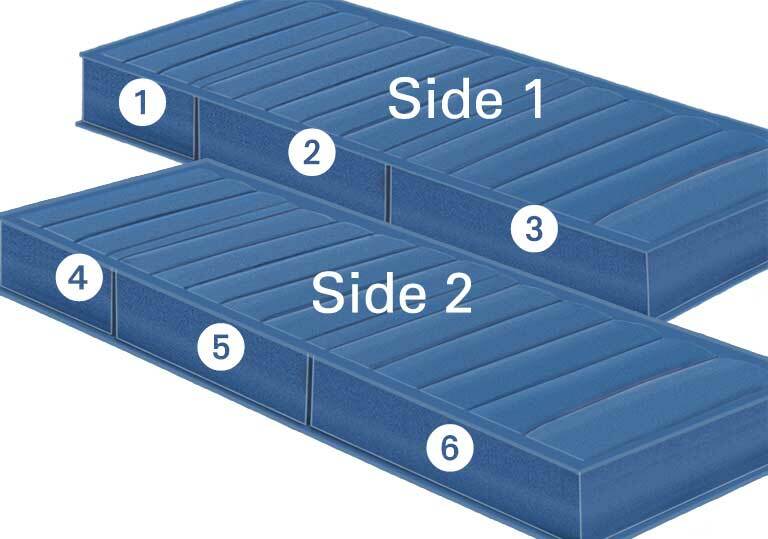 Boyd Sleep air beds use air as the support core and feature independent adjustability for each side of the bed. 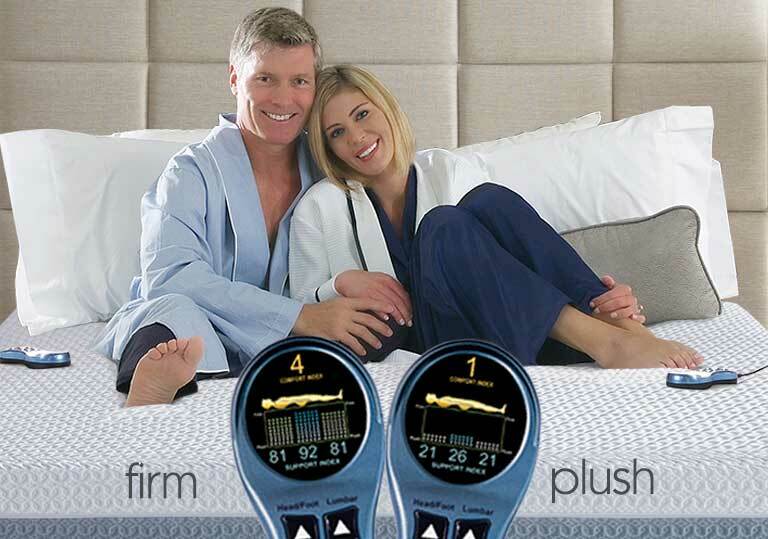 Both you and your partner can enjoy personalized comfort and support so you can Sleep Better Together. 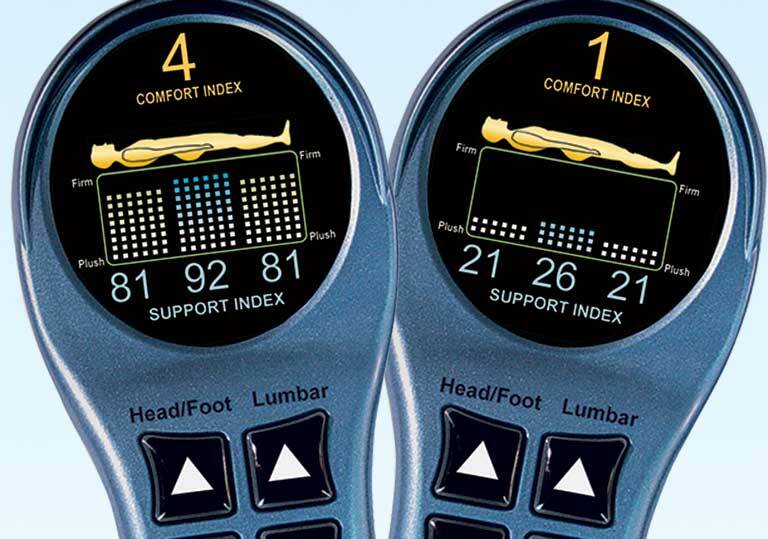 Our advanced computerized technology allows you to precisely adjust your comfort and support levels from soft to firm in single digit increments from 1 to 100. 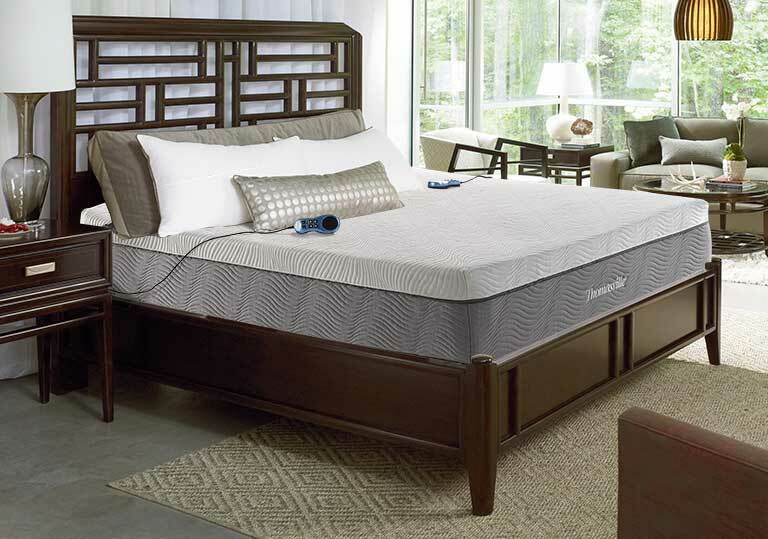 No other air bed manufacturer allows for this remarkable degree of precise adjustability. 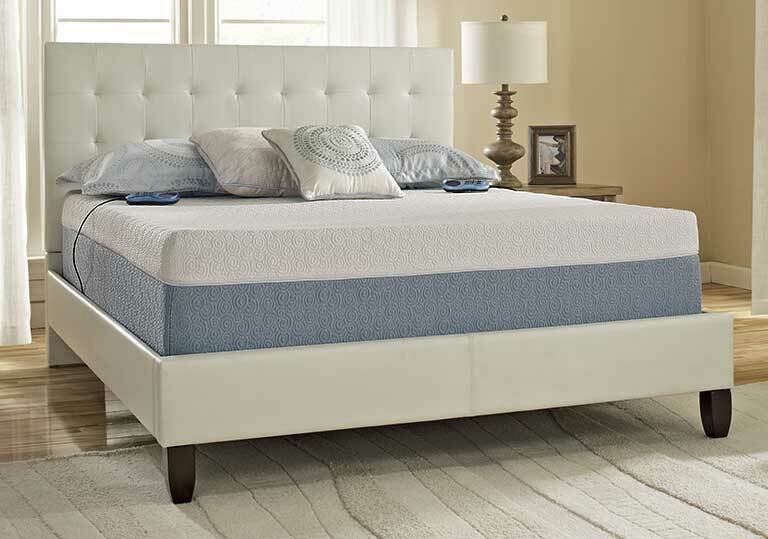 Unlike the popular Sleep Number® Bed by Select Comfort®*, which only offers dual zone beds, Boyd Night Air® offers six-zone adjustable sleep systems. If you need extra support because of back or hip pain, the center air chamber on each side of the bed can be adjusted separately from the head and foot. Get the pain relief you need on a bed that can be customized to support you better where you need it most. 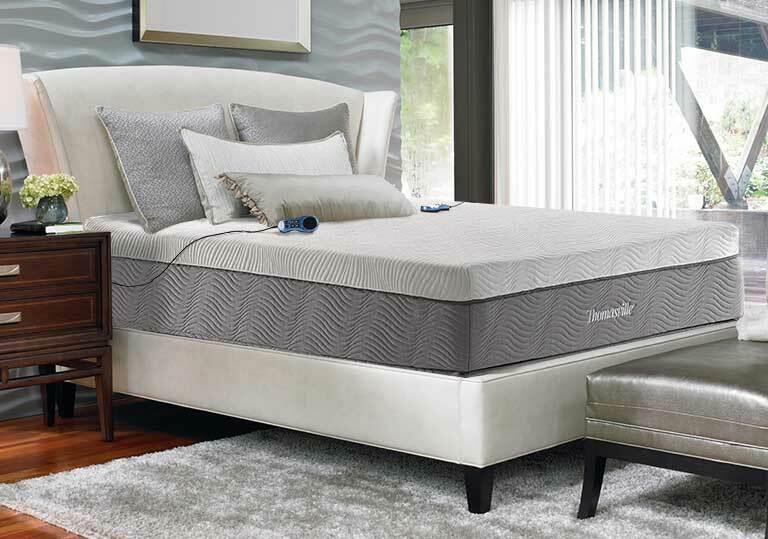 6 adjustable air chambers allow for personalized comfort and support for each side of the bed without compromise. If extra back support is needed the center lumbar support air chamber can be adjusted separately from your head and feet. 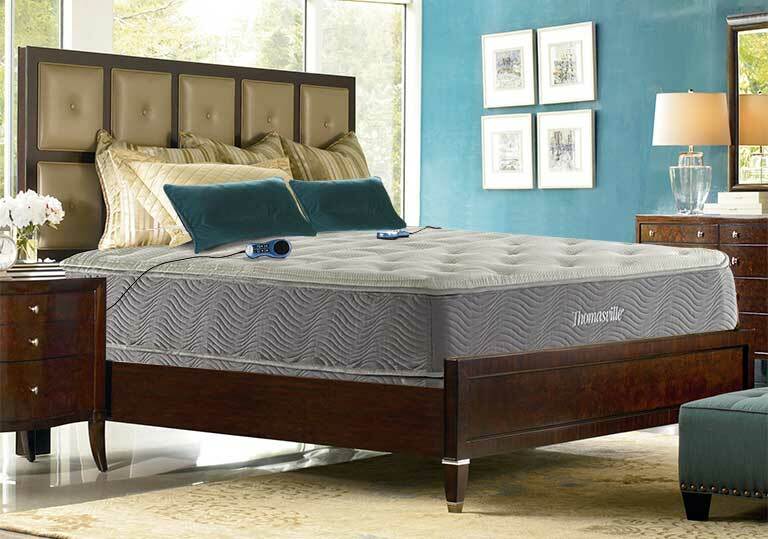 Most couples will not agree on the ideal firmness of their mattress. 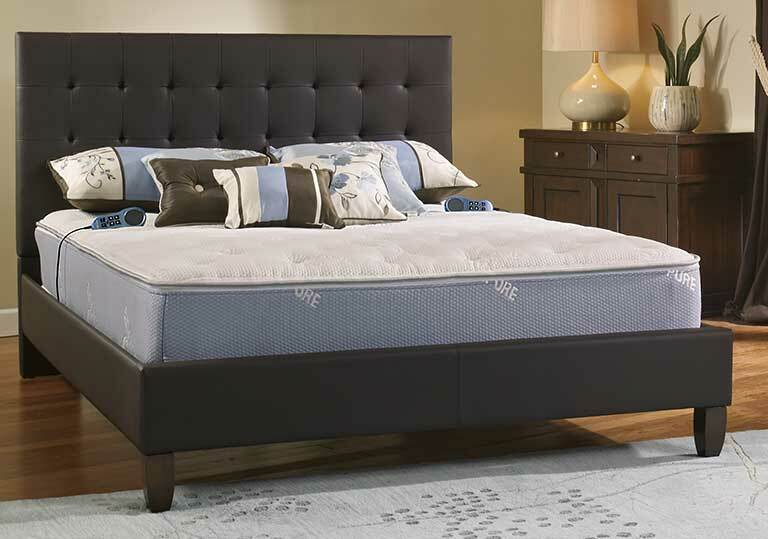 An adjustable Air Bed allows you to adjust each side of the bed independently from plush to extra firm. 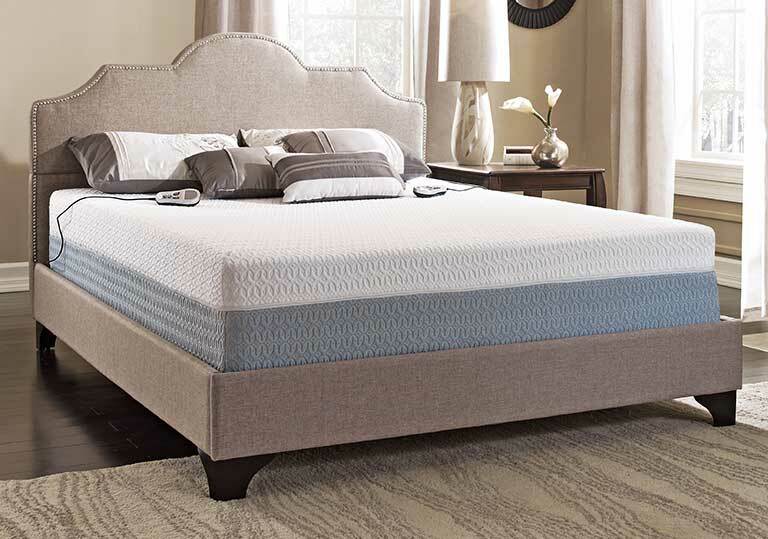 No more compromising where the quality of your sleep is concerned. Two ergonomic hand controls come standard and allow you to adjust each chamber from 1 to 100 in single digit increments. Our Ultra 6-chamber sleep systems allow you to adjust you lumbar section separately from your head and feet.